With that said, many items, unlike the spoiled milk in your refrigerator, are more apt to slip by year-after-year without being replaced. Even if there’s no expiration date or other obvious signs they have outlived their use, some items in your home should still be replaced on a somewhat regular basis. Mattresses should be replaced every seven to ten years. After this point your mattresses support has deteriorated. A good way to preserve your mattress is to follow this advice: Rotate your mattress at regular times throughout the year. I suggest when you have to adjust your clocks for daylight saving time twice a year you flip or rotate your mattress; in the spring, rotate it and in the fall, flip it. 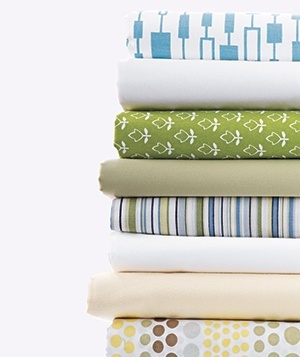 Your sheets, even if they’re high quality, are breaking down slightly during each wash and dry. You should replace them when you start to see obvious signs of aging, such as stains, fraying hems, or faded patterns. Having a set of guest sheets is a great idea as well. 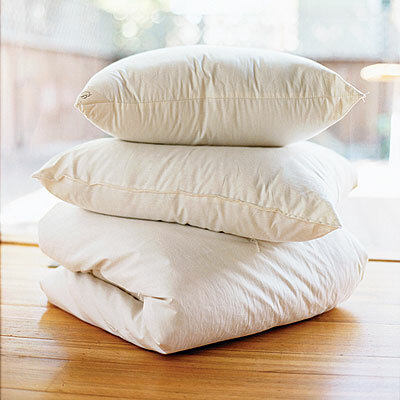 Your pillows should only last about two years. I’ll admit I do keep pillows longer than I should, but let’s face it, an old pillow is a gross thing. Your bath towels, especially if you shower every day, are probably getting a pretty good workout. They are also getting frequent encounters with the washer and the dryer and therefore they might start to look a little dejected. Think of replacing your towels as an opportunity to give your bathroom a bit of a “facelift.” You can donate your old towels to your local animal shelter and you can now feel good about yourself that you’ve not only treated yourself but also your furry, homeless friends. Generally, your towels are going to last about two years. 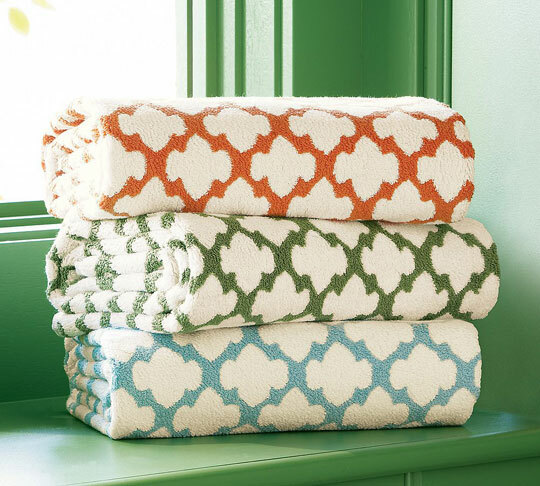 Your bath mats probably get even more wear and tear than your towels. Put a two-year limit, tops, on your bath mats. This shouldn’t surprise you too much, but your toilet flusher, switch, or knob is touched right after using the bathroom and prior to washing ones hands. While most of us remember to clean this at home when we clean the toilet it’s still a good reminder to practice proper hand-washing whenever possible. Bath sponges are potentially wonderful at spreading mold and bacteria all over your body. Fun, right? Therefore, try to wring them out and dry them after each use. Loofahs should be replaced every month, but synthetic sponges can last up to eight weeks. Light switches and door handles may seem innocuous, but think about it, they’re touched by everyone, and never, ever really cleaned—especially in public places. 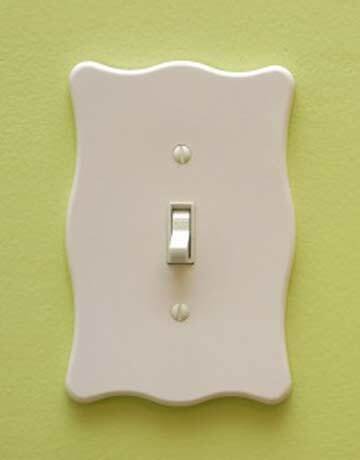 I’ll spare you the details I discovered about switches in bathrooms, but do clean off your light switches and door handles when you clean the rest of your home—it doesn’t need to be too often. Heavily used kitchen sponges should be thrown out every two weeks, while less vigorously used sponges can be kept up to eight weeks. Cleaning, microwaving, and drying out your kitchen sponges between washes will help keep them bacteria-free. Kitchen towels should be replaced quarterly. A good way to do this is simply with the season. While taking out the trash is a chore in-and-of itself, your trash cans need to be cleaned at times as well. 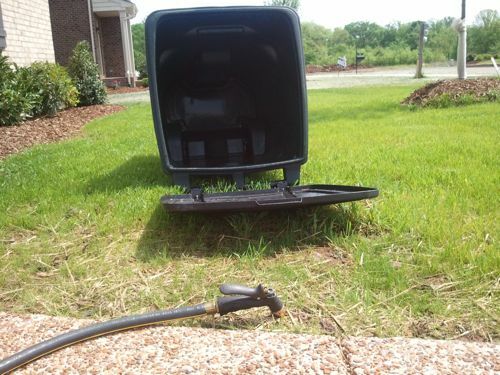 It doesn’t matter how good your aim is, your trash can lid and insides are probably filthy, especially if you have a large outdoor unit that you drag to the curb every week for your city’s garbage collectors to empty. Before you bring that nasty can back inside, or put a fresh bag in your kitchen trash can, spray it down with a little disinfectant. Every couple of weeks, give it a good scrub in the bathtub with a bleach-based solution. I hate to break it to you, but your computer’s keyboard is gross. Seriously, it’s actually proven to be dirtier than a toilet seat. While this bodes well for toilet seats across the board, we should all be heading towards to home office… Magic Erasers, which are mildly abrasive and CAN rub off the letters if you’re not careful, can help keep your keyboard tidy. If it’s been a really long time, you might want to up the ante with a good, thorough cleaning after removing the individual keys. That remote control that sits in one hand while you throw down some popcorn with the other hand is actually a hotbed for bacteria and viruses; remote controls are also rarely, if ever, cleaned. (A study conducted by researchers at the University of Arizona showed that remote controls in hospital rooms, hotel rooms, and homes had more bugs growing on them than toilet seats, door handles, the bedspread, and sink handles.) 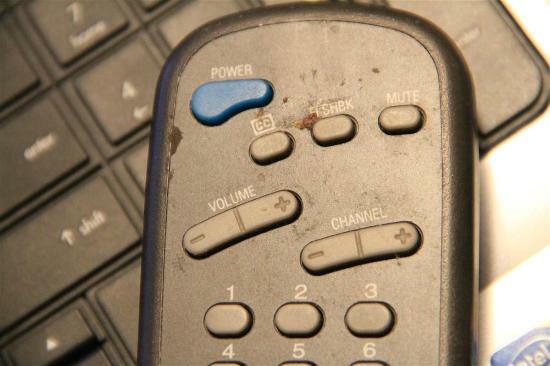 Give your remote a good rub down with a lintless cloth and a little rubbing alcohol. Replacing your remote when it starts to collect a fine layer of “crud” that no one wants to touch. Okay, there are a few other numbers for you to be familiar with…The following are common household items and the average life-span of each. Please reference this if you are renting out a home and they call you and tell you the water heater went out and it’s only two years old… They could be trying to pull a fast one on you. Hope this enlightened you today! This entry was posted in Organizational Helps. Bookmark the permalink.